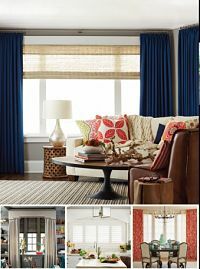 Perfect opportunity to buy a Home-based window covering franchise with increasing sales. This Budget Blinds franchise is increasing sales! 2016 to 2017, sales increase 17%. Jan-June 2017 to Jan-June 2018 - sales have increased over 50%. Located in Central NJ & has a huge growth potential including both residential & a currently untapped and highly profitable commercial market. This territory is populated with many high net worth individuals who commute to both Philadelphia & NY. Budget Blinds products are high quality items at a reasonable price with exclusive warranties which separates our franchise from the other competitors. As such, these products are a perfect match for our customer base. This territory is well over 10 years old so there are numerous opportunities of referral and repeat business from existing customers. 20% off asking price for a buyer who makes it to the next corporate training. The current owners have been operating this franchise territory part time since July 2013, working only 10-15 hours per week. If a new owner worked full time, they can double to triple their sales in no time. The owners are selling due to a family member’s health issues. Budget Blinds® is a member of a family of brands under the umbrella of Home Franchise Concepts® (HFC), parent company and franchisor of home improvement service companies. As a franchising expert, Budget Blinds is dedicated to helping people go into business for themselves and to help them grow their home-based franchise business to be as successful as possible. To create the most efficient and profitable national distribution channel specializing in home improvement products while setting the standard for franchisee-franchisor relationships. To be the dominant custom window coverings provider in North America through 1,500 individually owned and operated franchised territories. Throughout the years, we have worked to perfect our business model, aligning ourselves further with consumer needs and industry trends to continue separating ourselves and elevating our franchise owners above the competition. Recently, Budget Blinds’ parent company, Home Franchise Concepts® (HFC) recruited Trilantic Capital Partners to invest in HFC’s vision and growth, which is to dominate the home services industry by furthering our brand footprint across North America and establishing Budget Blinds internationally to gain significant market share and become a household name in window coverings.